Sweden is finally gearing up to put into place the provisions of its long-anticipated “A Re-regulated Gambling Market” legislation. The government's quasi-monopoly on gambling services is about to end with the introduction of a licensing framework for international gaming operators, including within the online sphere. The new rules are set to take effect in January 2019. Under the terms of the legislation, all gambling activities in Sweden will be divided into three rough categories: the competitive sector, the government sector, and the nonprofit sector. All online gambling will be encompassed inside the competitive sector. The government sector will largely consist of state-run brick-and-mortar casinos. The nonprofit sector will comprise charitable bingo and similar endeavors. All companies wishing to offer gambling services in Sweden will have to obtain a valid license from the Swedish Gambling Authority (Lotteriinspektionen). There are six different categories of license, depending on the form of gaming involved, with fees for a five-year license ranging from 400,000 Swedish kronor ($43,900) to 700,000 kronor ($76,800). Licensed gaming will be taxed at a rate of 18% except for nonprofit activities, which won't be taxed at all. There are pretty stringent responsible gaming elements to the new legislation. Players will be able to self-exclude from all licensed operators by taking a single step through a centralized system called Spelpaus.se (“Spel Paus” translates roughly as “Play Break”). Furthermore, the gambling firms themselves will have a duty to prevent “excessive gambling.” The minimum ages for gambling will be 18 online and 21 at land-based venues. One customer-unfriendly mandate of the new law is that gaming firms will be able to issue only a single bonus to a new player, i.e., a welcome bonus. Reload bonuses, VIP match specials and certain other perks will be prohibited. On the other hand, every licensed entity will count as a new gambling site in the eyes of the authorities, so preexisting users of currently unlicensed internet gaming services will be able to sign up again and get new bonuses once these gambling sites obtain the appropriate licenses. The Swedish government isn't going to just trust gaming interests to comply fully with the law of their own accord. Therefore, the gambling legislation contains language aimed at deterring any unauthorized activity. It will be illegal to run an unlicensed gambling parlor, whether offline or online, and the punishment for such an offense could be as high as six years in prison plus fines. It will also be forbidden to even advertise such illicit gaming services. Furthermore, any Swedish citizen attempting to access the websites of black market gambling businesses will see a warning, alerting them to the fact that the site is not properly licensed by the Swedish authorities. Payment processing will be affected too. There are plans to block transactions between Swedish citizens and unauthorized gambling recipients. The effectiveness of such strategies has proven questionable in the past in other countries with new processors popping up almost as fast as the old ones are shut down. In any event, today's crypto-currency innovations, like Bitcoin, make it possible to circumvent almost all attempts at interfering with the free flow of money. 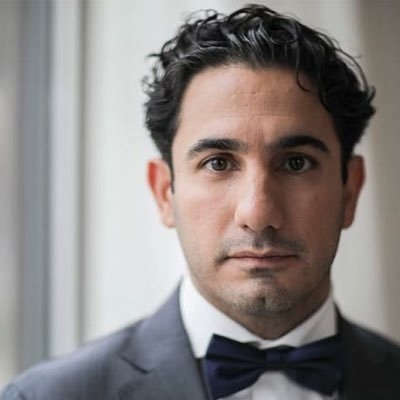 Despite Shekarabi's comments, which tend to indicate that it's a desire to exert control of the market that lies behind Sweden's gambling licensure efforts, there's actually a bit more going on here. 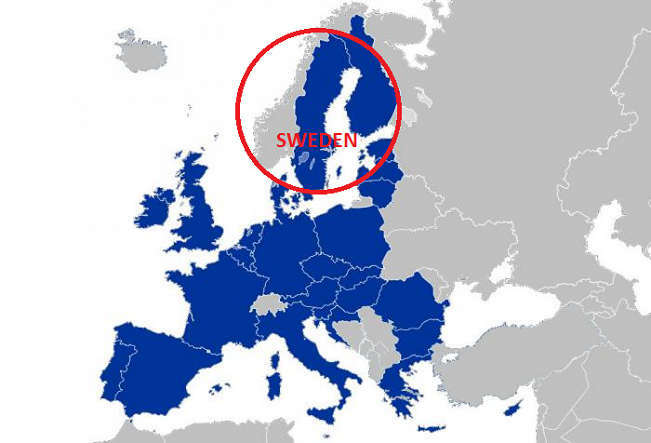 In fact, Sweden is complying with pressure from the European Union to liberalize its gaming laws so as to fulfill its treaty obligations. As early as 2007, the EU warned Sweden that its gambling statutes, which more or less set up a government monopoly in the industry, were in need of updating. Sweden basically did nothing for the next several years, so then in October 2014, the EU Commission actually sued the Scandinavian nation to get it to comply with its international obligations. Finally, Sweden determined to get serious about amending its gaming regulations, and the “A Re-regulated Gambling Market” law was the result. Because of the low 18% tax rate, very reasonable licensing fees, the lack of “bad actor” clauses, and the fact that operators are under no obligation to set up local offices in Sweden, there has been a veritable stampede of applications. 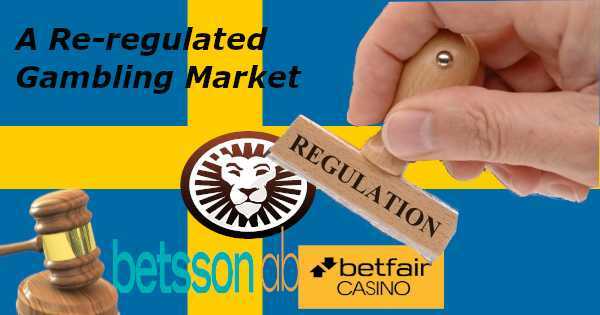 To date, at least 75 organizations have submitted their licensing paperwork to the Swedish Gambling Authority since it began accepting applications on Aug. 1, among them such notable enterprises as Betsson, Mr. Green, ElectraWorks – the parent company of PartyPoker and Bwin – and 888. When compared to other gaming jurisdictions, most prominently the United Kingdom, Sweden has several advantages in the eyes of online wagering companies. While the UK's 15% tax rate is less than Sweden's 18%, this will change shortly as the higher British Remote Gaming Duty is implemented. Moreover, the United Kingdom Gambling Commission has a history of extremely punitive fines against entities that it has accused of breaking the rules, like the £2.2 million penalty it slapped on Paddy Power Betfair and the £2 million judgment rendered against 32Red. The Swedish Gambling Authority (Lotteriinspektionen) is gearing up to tackle its heightened responsibilities. Its name will change to the Gaming Inspectorate (Spelinspektionen): a reflection of its new enforcement duties. 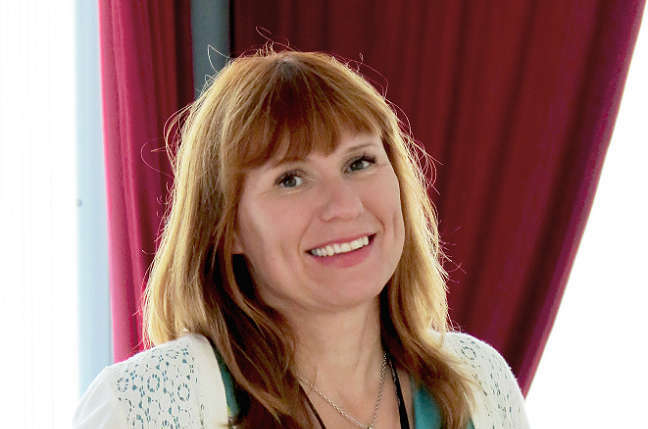 Beyond this seemingly cosmetic change, Director General Camilla Rosenberg has increased staff to 50 full-time positions, and more new employees are expected to be hired shortly. Yet, some observers feel that there's no way that the regulatory body will be able to handle the demand for licenses without significant delays and possibly errors. Rosenberg has warned applicants to correct any inaccuracies in their documents and submit any missing material as soon as possible to prevent any hold-ups in granting approval. She also mentioned that the exact rules surrounding responsible gaming and advertising restrictions are not precisely defined. In response to requests for further elaboration of these points, she indicated that they will be clarified by the judicial system as the case warrants. Such an attitude undoubtedly calls into question the preparedness of the Gaming Inspectorate for its expanded remit. There are certain benefits to transacting without a license in the Swedish market. This becomes evident when we examine the latest figures released by the Gambling Authority. The report gives revenue numbers for the licensed sector, which currently consists mostly of state monopolies and charitable lottery organizations, as well as unregulated operators. During the first three quarters of 2018, gross gaming revenue increased by 1.2% compared to the same period in 2017. There was a split, though, between legalized and unlicensed revenue. Gambling sanctioned by the state actually generated 2.4% less money than it did last year. By contrast, gaming conducted without a permit accounted for 12.4% more revenue this year than last. Another trend was a move away from brick-and-mortar gambling and toward online services. It's unclear whether these results demonstrate the expected inefficiency of government-run enterprises as opposed to free market competitors or hint at the difficulties inherent in adhering to the rules of the Swedish licensing agency. These financial metrics might give pause to would-be entrants into the Swedish licensed market who may ultimately decide that operating without the blessing of the state may not be such a bad thing after all. One example of an offshore gaming site that probably will continue serving Sweden's residents without the “benefits” of a license is Sportsbetting.ag. It runs a full online gambling suite, including a poker room, sportsbook, and casino. New poker players are entitled to claim a 100% up to $1,000 bonus that clears at an effective 20% rakeback rate. To learn more about this reputable operator, check out our Sportsbetting poker review.